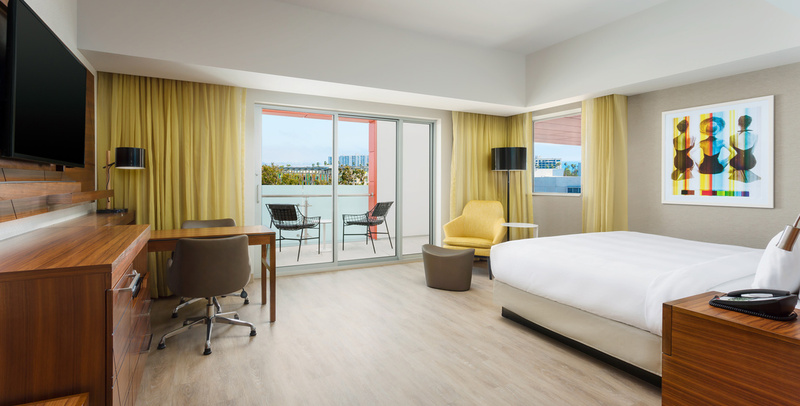 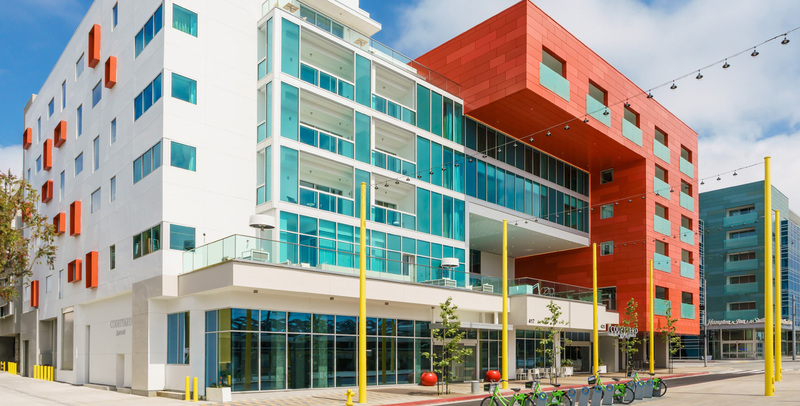 Brief: To design a new build boutique version of the Courtyard Marriott brand suited to a prime location near the Santa Monica pier and opposite a new metro station. 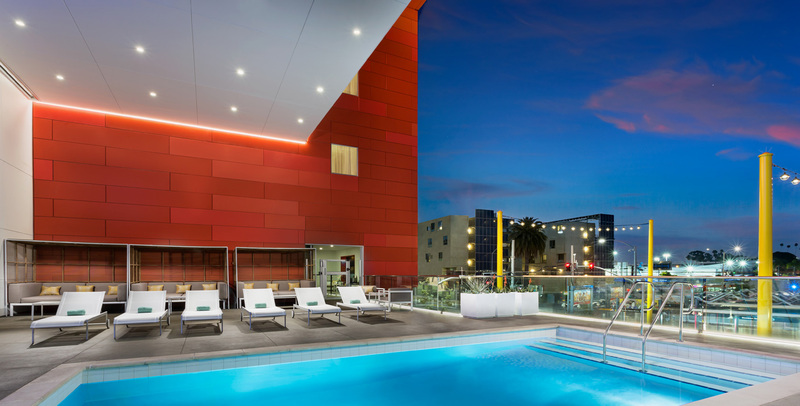 Concept: The design of the Courtyard Marriott Santa Monica is inspired by the journey to the end of Route 66 that culminates at the Santa Monica Pier and the elements of earth and sky that are encountered along the way. 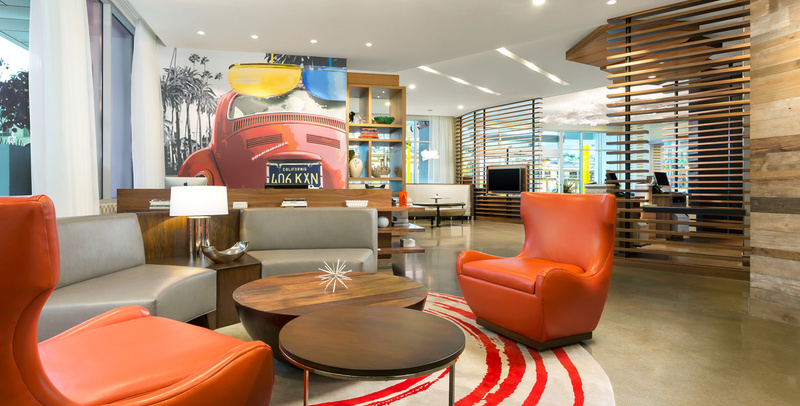 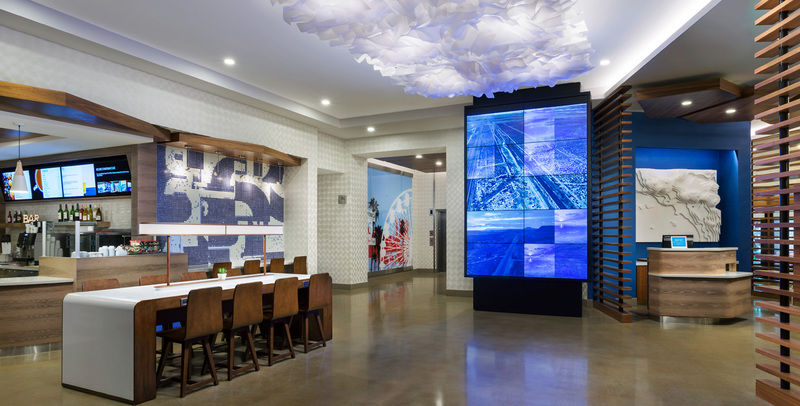 Ceiling forms representing tectonic plates radiate from the front desk, increasing in height in a progression to the main central lobby where a large ceiling “cloud” fixture and a full height media wall provide dramatic counterpoint. 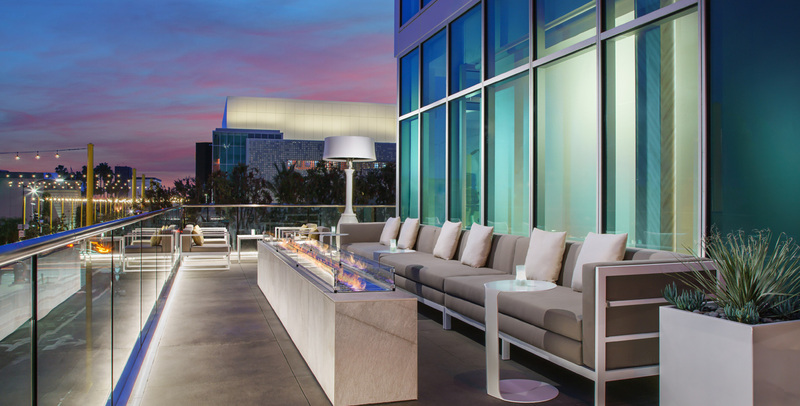 An expansive, street front second floor pool deck terrace looks out over the new metro station and park and features glowing furniture elements with “stadium seating” for the screening of movies in the evenings making for an unforgettable guest experience at this boutique custom version of a Courtyard Marriott Hotel.